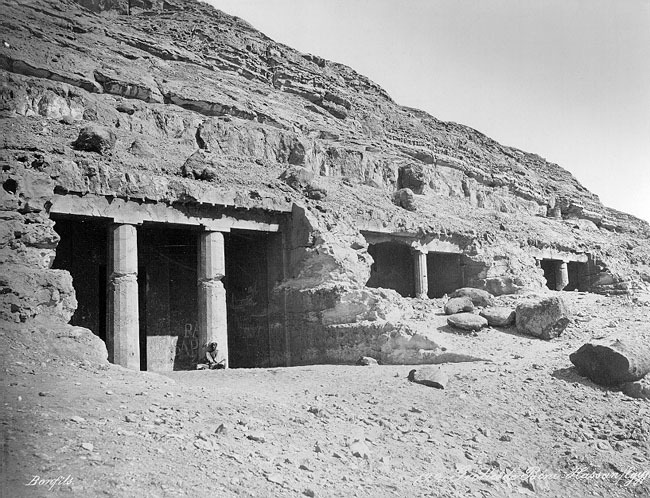 The site lies on the Eastern Bank of the Nile, 20 km south of the city of Al-Minya. It houses 39 rock-cut tomb decorated with scenes depicting local and regional life during the Middle Kingdom.Many of these have scenes of violent warfare and military training. Tomb of Amenemhet (tomb 2): Amenemhet is described as the 'prince of the Oryx Nome' and was a governor of the Oryx nome.Here one finds one of two inscriptions within the necropolis that help define Egyptian life in this period. It consists of thirty-two lines on the door. There are also unusual scenes depicting hunting in the desert on the north wall. His tomb is unusual for having a false door on the west, where the dead are suppose to enter.